Distinguished Professor of Music at the University of Missouri-Kansas City Conservatory of Music and Dance. in 1983, he was appointed composer-in-residence with the National Broadcasting Symphony Orchestra of China. Zhou Long travelled to the United States in 1985 under a fellowship to attend Columbia University, where he studied with Chou Wen-Chung, Mario Davidovsky, and George Edwards, receiving a Doctor of Musical Arts degree in 1993. After more than a decade as music director of Music From China in New York City, he received ASCAP’s Adventurous Programming Award in 1999, and its prestigious Concert Music Award in 2011. His awards include 2003 Academy Award in Music from the American Academy of Arts and Letters, Masterprize and the CalArts/Alpert Award, and winning the Barlow International Competition, with a performance by the Los Angeles Philharmonic. He has been two-time recipient of commissions from the Koussevitzky Music Foundation in the Library of Congress, the Fromm Music Foundation at Harvard, Meet the Composer, Chamber Music America, and the New York State Council on the Arts. He has received fellowships from the American Academy of Arts and Letters, the National Endowment for the Arts, the Guggenheim and Rockefeller Foundations, in addition to recording grants from the Cary Trust and the Copland Fund for Music. 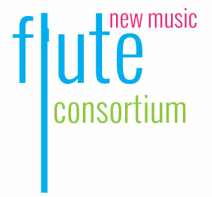 Among the ensembles commissioning works from him are the Bavarian Radio, BBC, Kansas City, Honolulu, California Pacific and Singapore Symphonies; the Brooklyn, Tokyo, China Philharmonics, the New Music Consort, the Pittsburgh New Music Ensemble, the Kronos, Shanghai, Ciompi, and Chester string quartets, Ensemble Modern-Frankfurt, the Post-Classical Ensemble, PRISM Saxophone Quartet, New York New Music Ensemble, the Chanticleer, Opera Boston, Beijing Music Festival, and musicians Yo-Yo Ma, Lan Shui, Long Yu, Lihua Tan and Leonard Slatkin. 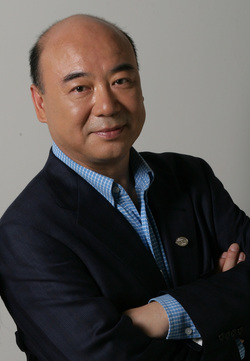 In 2012, Zhou Long has composed 80 minutes of music, including two orchestral works: University Festival Overture (10’) commissioned by the China South Technology University School of Arts Orchestra, and Beijing Rhyme -A Symphonic Suite (40’), commissioned by the Beijing Symphony Orchestra, premiered on 6/15/2013 and recorded on EMI; a solo piano work Pianobells (8’), commissioned by Dr. Susan Chan and premiered on 4/20/2012 at the Musica Nova concert in the UMKC Conservatory of Music and Dance; a chamber work, Cloud Earth for chamber ensemble, commissioned by The New York New Music Ensemble and premiered on 4/16/2012 in its 35th anniversary celebration, at the Merkin Concert Hall in New York City. Zhou Long is working on a whole evening symphonic epic 'NineOdes' on poems by Qu Yaun (ca. 340 BCE - 278 BCE) for four solo vocalists and orchestra, commissioned by the Beijing Music Festival Arts Foundation and premiered in October 2013. In addition, Zhou Long is also working on a new chamber work co-commissioned and premiered by the Lincoln Center Chamber Music Society in New York and Europe's leading venue for chamber music and song, Wigmore Hall in London for their 2014 Season. His new piano concert, co-commissioned by the Singapore symphony and BBC Proms will be premiered in 2014. Zhou's works have been recorded on Warner, Naxos, BIS, EMI, CRI, Teldec (1999 Grammy Award), Cala, Delos, Sony, Avant, Telarc and China Record. Zhou Long is published exclusively by Oxford University Press.